Adam’s ale, voda, amanzi, nero, agua, wai, l’eau, shouei, das wasser, el-ma, ama. We all need these words in our lives, no matter where we live in the world. They represent one of the most important elements in our lives. This problem may not seem like big news to you, but when you look at the numbers…it certainly bears repeating. Bottled water is a $50-100 billion per year industry. It is handy to have water right when you need it. Plus it makes you feel healthier when you drink it. Nobody gets this better than the bottled water companies. So you’ve drunk your water and you are feeling good about yourself. What do you do with that empty bottle. Do you recycle it? Odds are, you don’t. 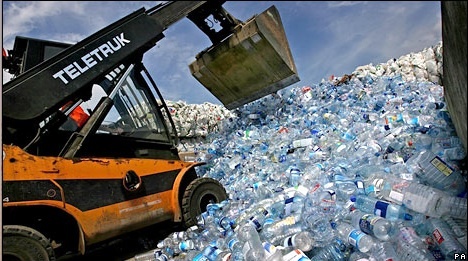 Studies tell us that only around 30% of people recycle their plastic water bottles. The other 70% of people just toss their water bottles in the garbage, which creates 1.4 million tons of trash every year. (And we’re not talking about the estimated 47 million gallons of oil needed to make those bottles to begin with.) Feeling a little less healthy now, isn’t it? If you feel you have no other choice but to use store-bought water, please try to buy bottles that can be recycled (and not all of them can be). It is estimated that the energy conserved from recycling a single plastic bottle can light a 60-watt light bulb for six hours. 5 pack of aluminum water bottles, with fridge stand, for only $22 on Amazon. Just click the picture for the link! 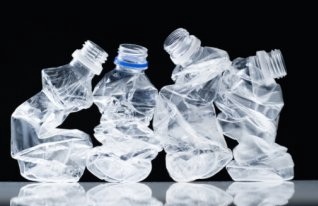 Although, you can find many healthy plastic re-usable water bottles on the market, too. Some people prefer these to be able to see into their water level easier. Just be sure to avoid any re-usable plastic bottle that does’t read “BPA-free”. If we are trying to be healthy, why add more health risks with our water bottles? "Brita Slim Pitcher" for only $15 on Amazon. Click the picture to link to the item! I like to recommend these to all my clients for a reason beyond taste and handiness. It has been suggested that people who don’t ever drink their tap water (a whopping 28% of Americans, by some estimates) tend to be less concerned with funding the infrastructures that provide good water to our homes. The thinking for this goes: “If you ignore a drinking water problem in your own home, you’ll hardly choose to upgrade it for everyone with your vote and tax dollars.” Something to think about, isn’t it? Do you use a re-useable water bottle or water filter pitcher? They make great Christmas gifts and keep on giving back to the planet all year round. 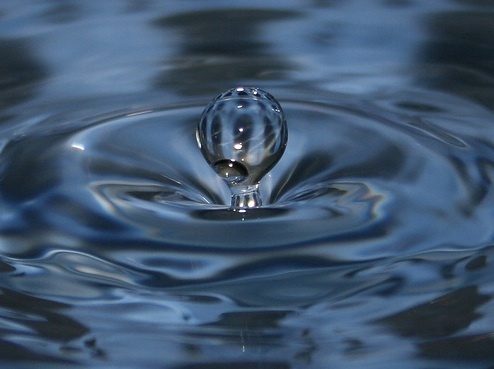 What do you use as a good drinking water solution in your home? Leave a comment and share your solutions. Also, stay tuned for a related free giveaway coming next week! Want to see more Greener Living ideas? You can see more right here! Geek check: The words at the top of the post are the base words for water in English slang, Croatian, Zulu, Greek, Spanish, Hawaiian, French, Chinese, German, Arabic and Cherokee. Posted on October 20, 2011, in Green Living, Lifestyle. Bookmark the permalink. 6 Comments. All the water that will ever be is already on the planet. We need to stop poisoning it! I agree, Bridget. And I think awareness should start in our own homes and daily lives! I was appalled at the statistic 30% of people recycle their water bottles. Who doesn’t recycle their water bottles? I was even more appalled to read how much oil goes into making the plastic bottles. I guess I can’t feel as responsible for recycling. Thanks for the info. We all should do the right thing. GREAT blog…REALLY enjoyed seeing this important information. May I recommend an awesome stainless steel container for water. It’s made by Contigo, and it keeps cold drinks cold for 12 hours, and warm drinks warm (I mean WARM) for 5 hours. I send my son to school everyday with two Contigo mugs that are used only for water, so they don’t have a coffee aftertaste. The beauty of them is the seal and their ability to retain temperature. Thanks for the great tip, Jess! I generally carry my own water bottle, not surprising in my job. I was pretty shocked to read the stats, though. All the more reason to use my water bottle for more than just rehearsals. I may never pick up a quick bottle of Evian at the convenience store again.